A simply beautiful way to show you care. 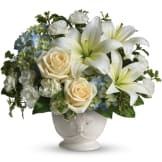 By sending this elegant arrangement to those in mourning, you are letting them know they are embraced in your thoughts. And in your heart. • Fresh flowers such as crème roses, white oriental lilies, carnations, eucalyptus and more are delivered in a lovely Noble Heritage urn. 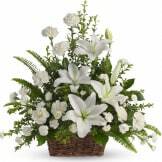 • Arrangement measures approximately 27" W X 25" H.
Flowers will be received by a Royal Palm Memorial Gardens' staff. 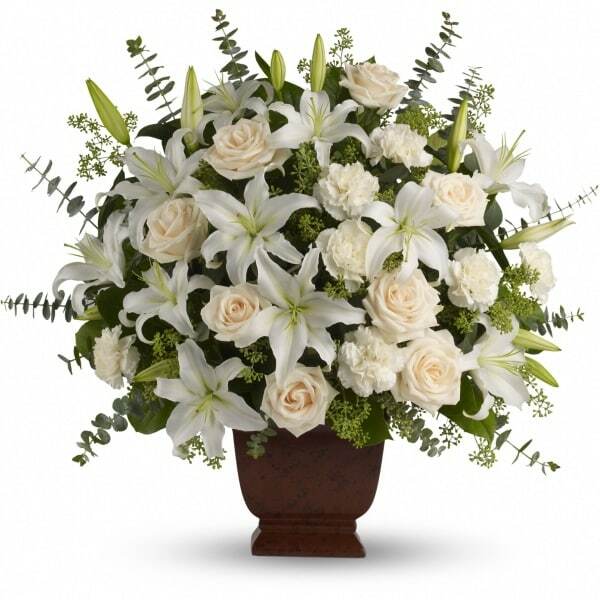 All of our flowers are designed and delivered by hand from a local florist in in Punta Gorda.